A range of budget kitchen accessories that offers value for money. 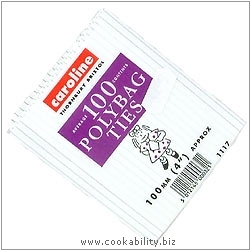 A pack of approx 100 polybag ties. Each tie is appox 100x5mm with a fine wire.